Meet Arunansh a.k.a Rahul Dutta. "If he had a pound every time a dog made him smile, he would be a millionaire." 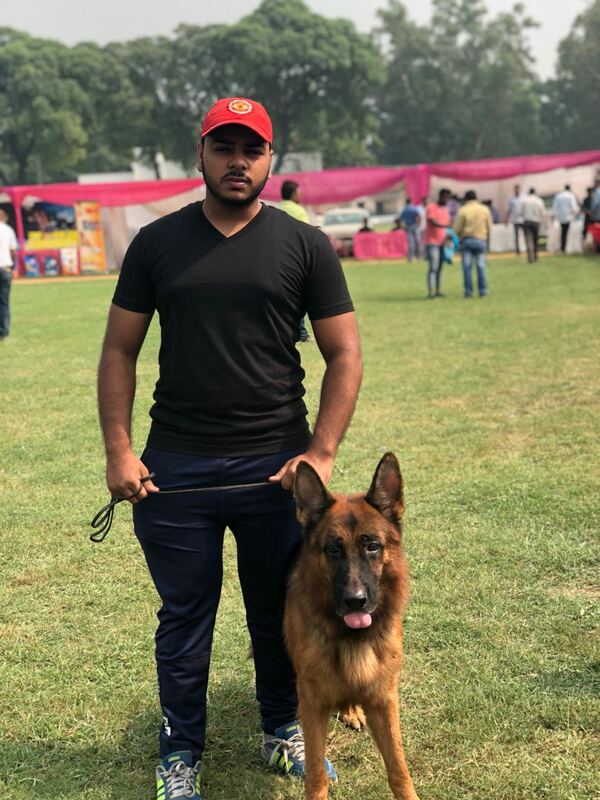 Arunansh is a successful dog trainer in Lucknow and he has earned quite a name in the dog business. Finding a good dog trainer was a difficult thing that Arunansh faced with his dogs, and so he turned into one. He had this amazing love for dogs since childhood, he turned his love into a profession. In the teenage when other kids of his age were busy playing video-games, he started training dogs. Later he founded 'Woof Dog'- A Dog Training Centre in the city of nawabs and kebabs, Lucknow. Dog Training isn't an easy job, one has to be as quick and spontaneous as the dog. It needs great physical strength. That is why you need an expert for this task. Arunansh is a certified dog trainer- one you can always trust. Though he is a professional, he leaves no opportunity to learn. Sometimes he travels to Kerala and sometimes to Delhi to learn more about this idiosyncratic field. The famous Dog Stores and Parlours in Lucknow will always refer you to Arunansh for training your dog because he is simply the best. He is a cool, calm and collected person. He is committed to his work. He is young, energetic and a dog lover, could it be any better for you and your dog? When he is not working, you could find him feeding and playing with the stray dogs around his house.